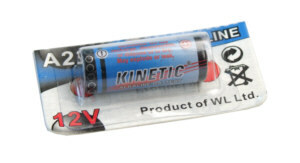 A23 (23A) Alkaline batterij 12V. Often used in remote controls. Friendly price.